This is the base of most of my recipes. Almond flour is simply ground up almonds (if you find a brand that contains anything more than just almonds, do not use it). I prefer Honeyville brand blanched almond flour. “Blanched” indicates that the almonds have been stripped of their skins before being ground into flour, usually resulting in a finer flour that produces a softer and tighter-crumbed baked good. It may not always be labeled blanched, but you can disinguish it from unblanched almond flour (sometimes called raw almond flour or almond meal) because the latter will be coarser and will be a mixture of brown and cream elements, whereas blanched is cream-colored. 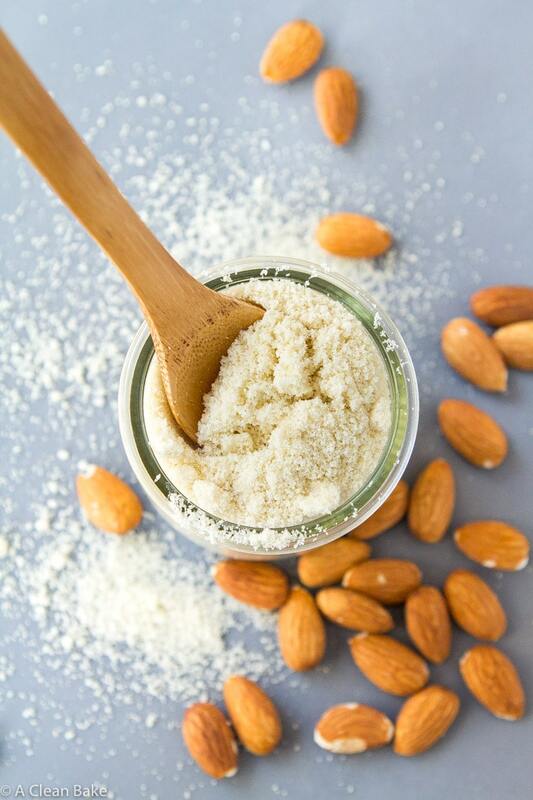 Learn more about the difference between blanched and raw almond flour here. Another flour you’ll see in most of my recipes, particular where doughs are involved. This is a high fiber, highly absorbent flour that is wonderful for providing baked goods some structure, and absorbing excess moisture. It is a very unique flour, and there is no substitute for it in my recipes, unfortunately. You can find it online and at health food stores. I use Now Foods brand. This flour provides a little bit of flexibility to dough, crispness to cakes and muffins, and absorbency to… anything that has too much moisture without it! It is very high in starch (which balances the high fat and fiber content of the other flours in my recipes), and quite inexpensive, especially compared to nut flours. I get mine from Asian grocery stores (though it is not certified gluten free) or Now Foods. You’ll see it labeled tapioca starch or tapioca flour; either one is fine. Coconut (Palm) Sugar: This is a lower glycemic sweetener that is derived from – you guessed it! – palm trees. It melts and sweetens like brown sugar, and has a similar caramel-y flavor. However, it is much less sweet by volume than white/cane/table sugar, or brown sugar. It is also much less sweet than stevia or monk fruit. So if you are replacing any of those sweeteners in a recipe with coconut sugar, you may need to use up to 50% more than the recipe calls for. I like Wholesome Sweeteners brand. Granulated Stevia and Monk Fruit Sweeter: These are granulated sweeteners that are low-carb alternatives to coconut sugar. They’re pretty much interchangeable in my recipes, but I prefer monk fruit. Whichever you use, make sure that you have a product/brand that you trust, particularly for flavor. Some brands of granBoth have zero glycemic impact, which is why I use them (I react to sugars, so have to limit them and avoid them where possible). You can feel free to use other low glycemic granulated sweeteners like coconut palm sugar in their place, but please be aware that stevia and monk fruit tend to be much sweeter than sugar, so you will probably need to either use 1.5-2x the amount of sweetener that my recipes call for, or expect a less sweet dish. Occasionally my recipes require an oil that is liquid at room temperature to make sure the consistency of the final product is soft enough (I like liquid oil for cakes, for example), and in this case, the recipe will call for avocado oil. It is a flavorless oil, so it will not affect the flavor of the recipe. I use Now Foods brand, but you can use any brand you like and trust. If you can’t find avocado oil, you can substitute grapeseed oil, lite olive oil (NOT virgin or extra virgin, which have too strong flavors), or organic canola oil. 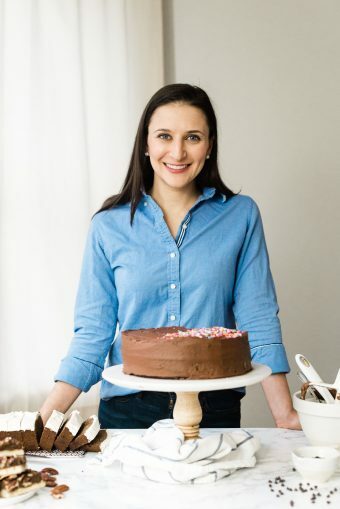 If you tolerate dairy, you can usually sub butter in for coconut oil in many of my dessert recipes. The recipe will tell you when this is okay to do. Very occasionally, the recipe will explicitly call for butter. In either case, I try to use the best quality grassfed butter I can find – it’s better for you, and makes your food taste better. I like Kerrygold brand grassfed butter, but there are lots of other options out there now. Just make sure you’re using unsalted. My recipes always call for large eggs, ideally at room temperature. Using extra large eggs might not seem like a big deal, but that small amount of extra egg really does make a difference in the chemical reactions that occur (baking is chemistry, after all! ), so please make sure you are using large eggs for best results. To quickly bring your eggs to room temperature, immerse them in a bowl of warm water for about 10 minutes before mixing them into the batter. Like butter, the quality of eggs will have an effect on the flavor of the final dish. I use organic eggs; my preferred brand is Organic Valley. I know many people like Vital Farms or other pastured eggs, but they have such a pungent flavor that I actually do not recommend baking with them. This is essential to keep in your kitchen for preparing pans before baking, or you will find that your recipe will not come out of the pan! You can find nonstick spray in almost any super market. Typically, the product is made with vegetable or canola oil, but you can also find olive oil spray (which is what I use in my kitchen) or coconut oil spray online, at health food stores, or in some major supermarkets. If you have one of those refillable pump spray bottles, more power to you. I could never find one that worked! Feel free to use it with whatever unflavored oil you prefer. I keep Hershey’s Special Dark cocoa powder and Now Foods Organic natural cocoa powder on hand, but if you have to pick one, go with naturally processed. Do NOT use dutch processed cocoa powder for any of my recipes that don’t explicitly call for it. It won’t work the same way! Don’t underestimate the power of good salt! Different quality salts have different flavors, levels of “saltiness” and nutrients. My favorite salt is grey sea salt, though many swear by Himalayan pink salt or kosher salt. Grey sea salt contains minerals (magnesium, calcium and potassium) and I prefer the milder flavor of it. However, its grain is huge and I typically measure for fine sea salt or table salt. I don’t like using table salt, though, because it is so highly processed that it has no nutrients left, and more importantly, the flavor is too bitter and eye-waveringly salty for me. All of this is to say: there are lots of different salts; use what’s best for you; and if you’re using a larger-grain salt, increase the amount that is called for in the recipes. Whenever one of my recipe calls for a spice, it is referring to the dried, ground preparation of that spice. Typically the recipe will specify whether fresh or dried herbs are necessary. Feel free to sub one for the other if you know what you’re doing, flavor-wise. Otherwise, please seek out the exact ingredient the dish calls for. Generally, I use dried herbs in my kitchen, so if the recipe calls for fresh, there is always a reason. I usually write “vanilla” or “vanilla extract” in the ingredient lists, but I always mean pure vanilla extract. Get something that is of reasonably good quality – I recommend Kirkland or Ellyndale brands- and never, ever use the imitation vanilla. Most of the time, my baked recipes call for baking soda. It’s such a basic ingredient that it’s hard to go wrong, but I usually buy Arm & Hammer brand – or the generic version! With a few exceptions where it is absolutely mandatory, I tend to avoid using this, since many commercial baking powders use cornstarch, which many people have trouble tolerating. If you do keep it on hand, it’s worth paying a small premium to get the aluminum-free kind. Rumford brand is aluminum free and gluten free. If you can’t tolerate corn, but need to use baking powder, try doing an online search for grain free DIY versions. I don’t have a recipe on this site but others do.